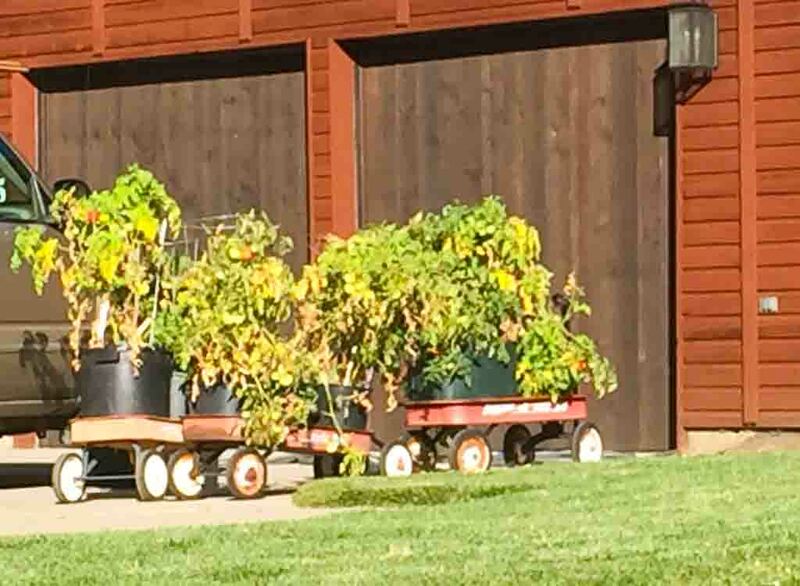 In the Boat, many gardeners move their tomato plants outside during the day, then tuck them back in their garage or house during cool nights–truly a labor of love–and much more patience than I have. Sure, I try my hand at growing my own tomatoes, but at the farmer’s market I can buy Colorado grown, fully vine-ripen tomatoes from July to October. Roasting is one of my favorite ways to prepare tomatoes when they are plentiful. For me, the goal of roasting tomatoes is to caramelize the outside of the tomato while still leaving a soft center. I especially love the black flecks of charred flesh that is proof that the tomatoes have made it through the slow flavor-developing process of being roasted. A light brush of olive oil helps the heat distribution and adds flavor to the finished product. I go big and bold with the temperature (375 degrees) when roasting to initiate the caramelizing of the natural sugars. Any type of tomato can be roasted, but I like the Roma variety, often called paste tomatoes, because they have less moisture and roast quickly. Roasted tomatoes can be used in a roasted caprese salad, blended in a flavorful roasted tomato soup or as a pizza topping. They also freeze well. These tomatoes develop a sweet intense flavor during roasting. Use them as a side dish; as a topping for pasta or pizza; or drizzle pesto over the top and serve them as an appetizer. Slice tomatoes in half, lengthwise and remove the core and seeds. Arrange the tomatoes, cut sides up, on a baking sheet covered with parchment paper. Combine olive oil, vinegar and garlic in a small bowl. 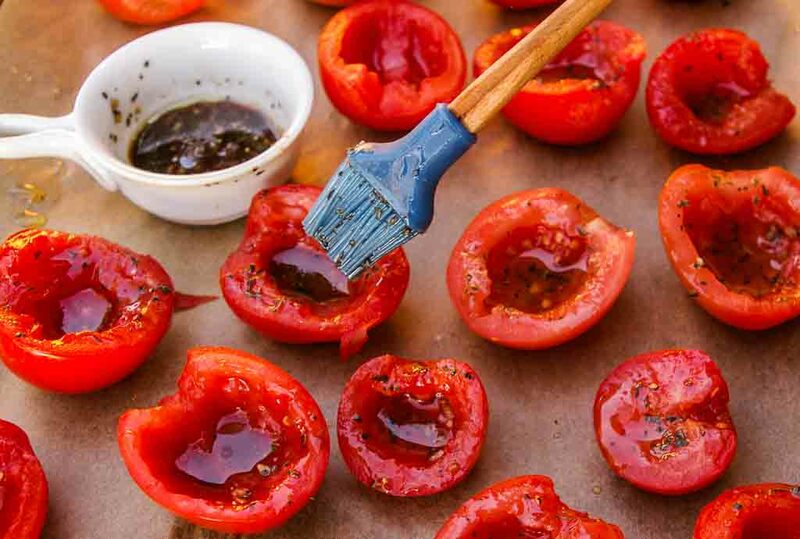 Lightly brush each tomato half with the balsamic oil mixture. Sprinkle with salt, pepper and thyme or basil if desired. Roast tomatoes for 60 minutes or until the tomato pulp shrivels and the natural sugars begin to caramelize. Remove from oven and allow tomatoes to cool. The core and seeds removed from the tomatoes make a delicious base for homemade tomato soup or salsa. I will try it this weekend! I think you’re going to love the sweet flavor that develops during the roasting process. I made a killer roasted tomato and basil soup last weekend. I plan to share the recipe sometime this fall, but first I want to try making it with some of the canned roasted tomato brands – an easier version for those that don’t have time to roast tomatoes. Stay tuned…happy roasting!